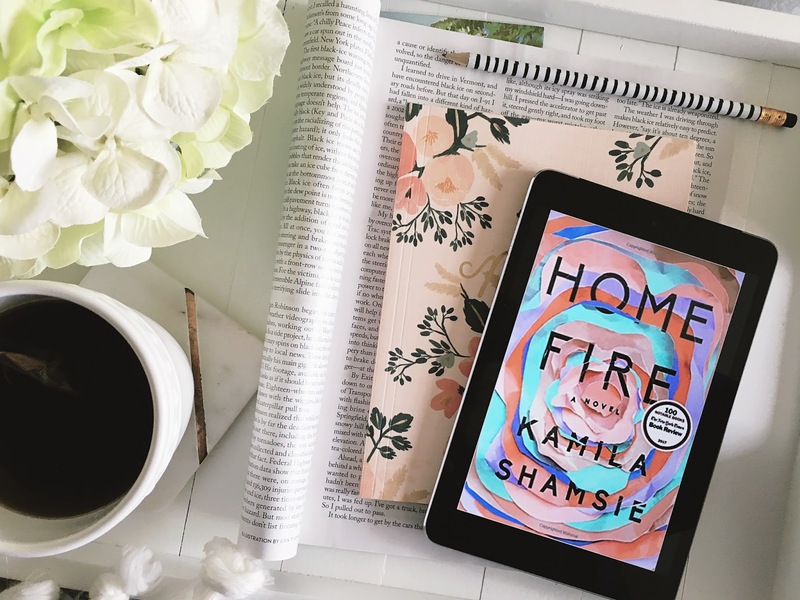 Kamila Shamsie's Home Fire is a slow building masterpiece that explores sibling love and sacrifice. I loved everything about this book, the more I process it - the more I love it. It's beautifully written, evocative and painful. This type of novel takes a special talent - the craft alone here is meticulous. The story centers around three siblings - Isma is the oldest, who has spent the majority of her teenage years looking after her twin siblings, Aneeka and Parvaiz. The twins have reached the age of 18 and Isma now has the ability to move forward with her life - beginning with an opportunity to travel to America to further her education. Her story opens the novel, a chapter in which she's stopped by airport security and interrogated about her clothing, her life, and basically her motive for leaving England. You see, her father was a famous Jihadist. Aneeka and Parvaiz remain in London, each doing their own thing but remaining firmly intertwined in each other's lives. But then Isma and Aneeka find their world ripped out from beneath them when their brother disappears to follow in his father's footsteps and joins ISIS. This novel is political, that goes without saying. But examines humanity, social class, moral values, and familial ties. It's searing. I loved this though, if you're the type of reader that needs a hook right off the bat or quickly loses interest - this probably isn't for you. But if you're the kind of reader who appreciates a novel written with a quiet precision that builds to an outstanding ending - you will probably enjoy this novel like I did. Long-listed for the Man Booker, Home Fire offers a modern spin on the Sophocles tragedy, Antigone. The parallels are easy to spot if you're familiar with the source material and if you aren't, I would check that out before picking this up to appreciate the full extent of Shamsie's work here. Overall very well done and very thought provoking - though I wouldn't recommend to the casual reader, and reserve this for readers who enjoy work by authors who I feel have a similar quiet literary prowess and slow build in their work ie: Lauren Groff ( Fates & Furies ) or Mohsin Hamid's Exit West .